Last week I visited Green Hills in Scotland, a small eco-community which makes its living from running a Community Supported Agriculture scheme whereby they sell weekly vegetable boxes of home-grown organic food. 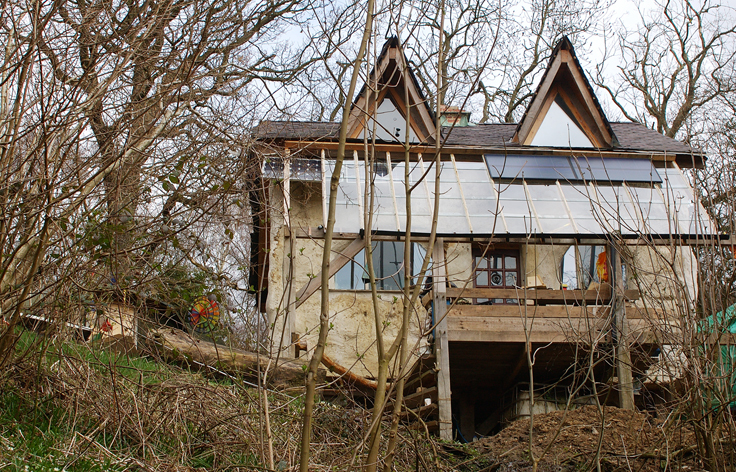 They have built an oak-framed straw-bale home in the woods and have recently started building an earth-sheltered house with earth-filled tyres as its back insulating wall. The straw bale cost £12,000 to build, though they did all the construction work themselves and use reclaimed materials wherever possible. 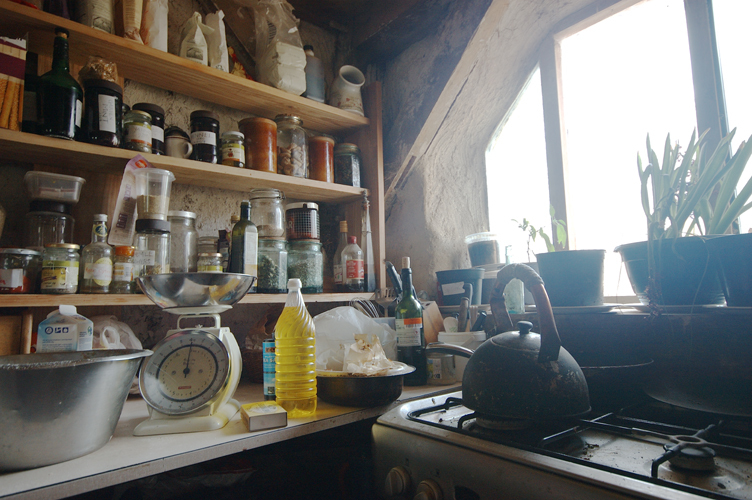 One night I had the privilege of sleeping in one of the bedrooms of the straw bale house and realised quite how warm and comfortable it was – even though we had not had the fire on for a few nights. Downstiars there is a large kitchen and dining area. 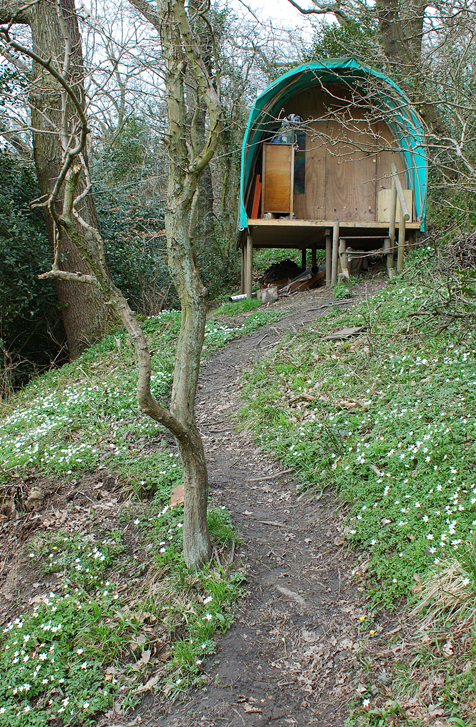 There are also a few other structures on the land such as a yurt and a canvas-covered tunnel. Green Hills is completely off-grid – generating all their electricity from photo voltaic panels and a small wind turbine. 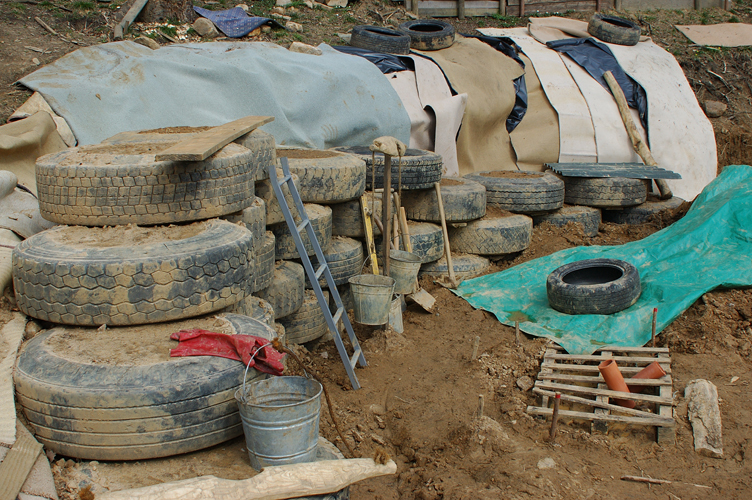 The use a compost toilet and collect rainwater. Unfortunately Green Hills is not currently accepting any visitors.